Since I have been doing a lot of baking recently, I wanted to mix it up with some crafting. 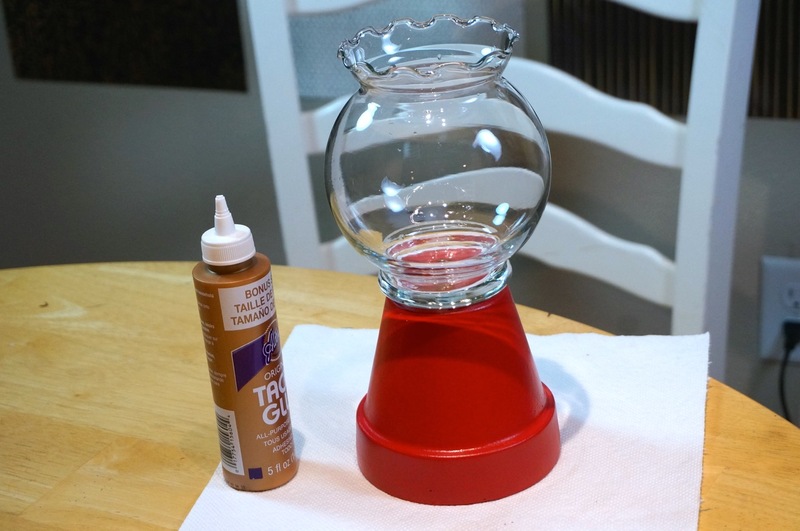 I kept seeing these absolutely adorable Gumball Machines made out of flower pots popping up on Pinterest and I thought it would be the perfect Valentine’s day craft! It seemed pretty simple so I decided to try it out. 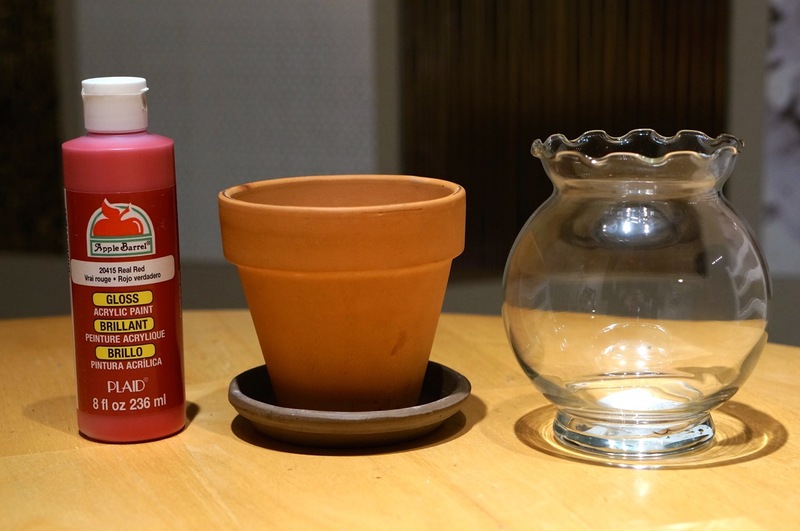 2) Clean your glass bowl and glue it onto your the bottom of your pot and let dry. 4) You can also glue a cute little pom pom on the top to really finish off the look! 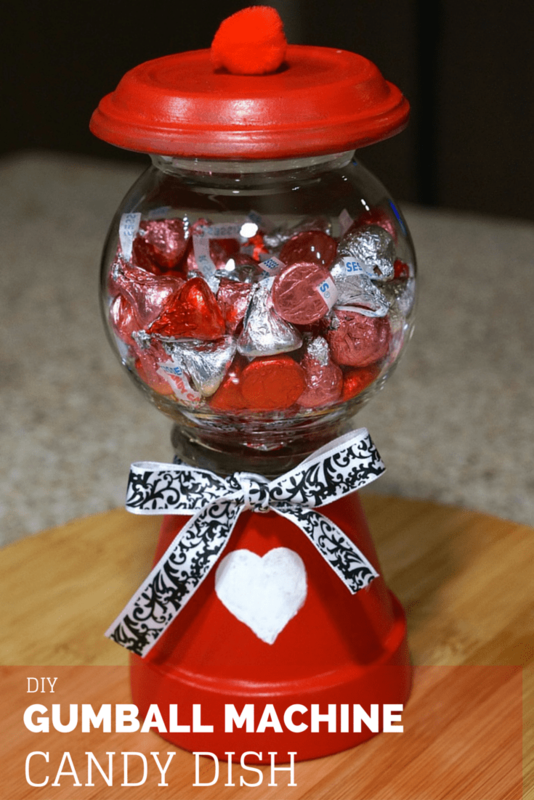 Now fill your cute gumball candy dish with your favorite candy! 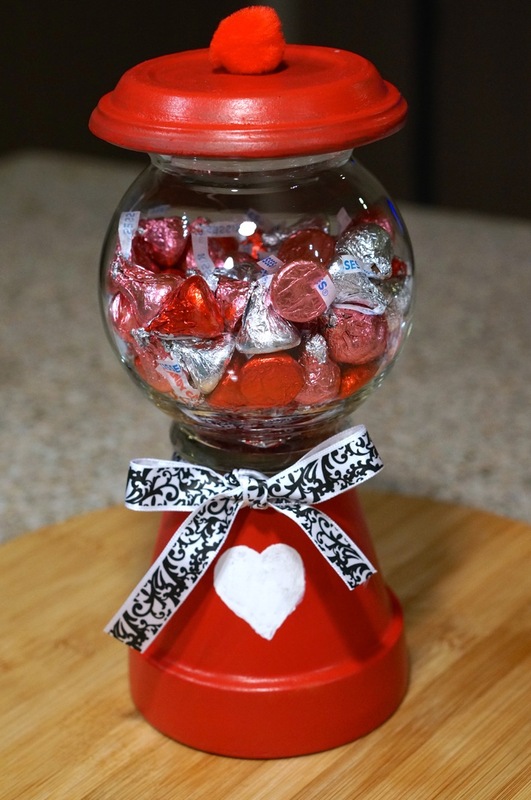 Because it’s close to Valentine’s Day, I filled mine with candy kisses to match, but this craft is adorable year round. If you are worried about the candy attracting bugs, or you want to use it as a decoration for your child’s room and don’t want them snacking on extra candy, put marbles inside instead! If you try it out be sure to share it on my Facebook page!